Do you have a kid who’s always looking for a great adventure? We’ve pulled together a box, featuring local shops in Cumberland Valley, that are perfect for your little explorer. Ever great adventure requires a companion. 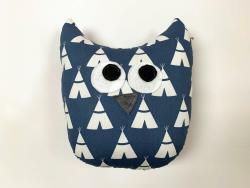 Your kid will love this handmade stuffed owl from Plum Baby. This children’s boutique in Shippensburg specializes in handmade blankets, outfits, bibs, stuffed animals and more. 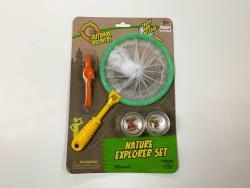 Allow your explorer to uncover the great outdoors by catching and releasing all sorts of critters with a Nature Kit from Mollybee Toys in Camp Hill. 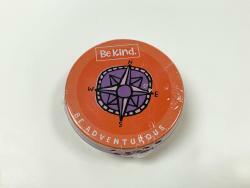 Also from Mollybee, we’ve included fun animal stickers and Be Kind Be Adventurous kind cards that prompt your little one for acts of kindness they can do each day. 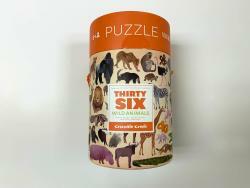 Unleash your explorer’s wild side with a 100-piece puzzle featuring 36 different animals. This puzzle is from Snazzy Giraffe in Mechanicsburg, a children’s boutique featuring apparel, shoes, toys, books and more. This adorable flashlight says “don’t let the dark bug you”. 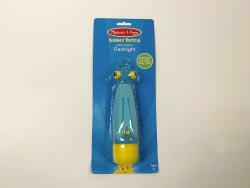 The whimsical firefly-designed flashlight is from Baby Bug & Me in the West Shore Farmers Market in Lemoyne. 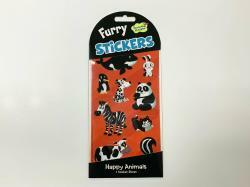 Baby Bug & Me carries high-quality accessories, clothing and toys. The birds in this book want to find out who is causing a ruckus in their neighborhood and the story takes young readers on a journey of discovery. Written by a local, this book is from Tutto Bambino in Carlisle which carries local children’s gifts and accessories as well as offering support groups, children’s classes and family events.